We apply the empirical findings of chemistry and physics and mathematical equations, including new derivations to extend quantum-to-molecular level analyses in a 9-dimensional spin model. Whereas the current physics involving 3 dimensions of space in a moment in time (3S-1t) can explain a great deal, there are some contradictions and unsolved problems that can only be resolved by applying a 9-dimensional spin model. In this paper, we demonstrate the empirical necessity for a third mass-less, energy-less substance or process besides mass and energy. This third substance has not been previously defined and contains what we have called “gimmel”: We demonstrate that no subatomic particle can exist without gimmel, yet gimmel is not measurable using the usual physical techniques of solely applying mass and energy. Mathematically and geometrically, atoms composed of quanta, and compounds composed of atoms, cannot be stable without gimmel. We examine gimmel at the level of atoms and the elements, but we postulate that this distinction of third content exists at every level from the subatomic, such as in elementary particles like electrons and quarks, through to the cosmological such as dark matter and dark energy. This third substance, gimmel, is key to maintaining stability and symmetry of subatomic particles, of atoms of the elements, of molecules and compound chemicals. Without gimmel, these substances could not maintain stability in our physical existence and would be ephemeral and transitory. We introduce the concepts of Triadic Rotational Units of Equivalence (TRUE or TRUE Units) and of a the requirement for a third substance or process, ‘gimmel’. This work appears to be of great importance because of its groundbreaking implications. 1 Importantly, the demonstration of gimmel is an extension of the ‘Triadic Dimensional-Distinction Vortical Paradigm’ (TDVP) 2-6model, as well as part of the nine dimensional triadic concept. 7 However, the results appear to be startling and, with respect, like TDVP itself, reflect their own paradigm shift. 8Moreover, this work is an exploration of the fundamental Nature of Reality allowing our searches for scientific and spiritual knowledge to be merged into one serious, combined effort. This work is an illustration of the missing link. In TDVP, we apply quantized phenomena existing in a multi-dimensional domain. 9 This consists of space and time, embedded in one or more additional dimensional domains. But, in conventional mathematics, there is a fiction: the fiction of dimensionless objects. 1 This has been simply a convenient mathematical expedient prior for discovering that physical phenomena are quantized. But this is no longer appropriate. If the substance of reality is quantized, the quantum necessarily occupies a finite 3-dimensional volume, not a point. This quantum volume defines the lower limit in size, and by setting it equal to 1, we establish a standard of measurement so that all substances are measureable in integer multiples of this unit. This allows us to proceed with our new form of mathematical analysis, the ‘calculus of dimensional distinctions’ (CoDD) 10, and treat all phenomena as finite, non-zero distinctions. Replacing the dimensionless points of the calculus of conventional mathematical physics with distinctions of finite unitary volume, the elementary particles of the physical universe must be integer multiples of these unitary volumes: We then relate the integers of quantum reality to the integers of number theory, and explore the deep relationship between mathematics and reality. This model requires the definition of a new, truly basic unit for describing elementary particles. This is because in a quantized reality, all particles must be integral multiples of the smallest possible, most basic quantum unit. We call these units “Triadic Rotational Units of Equivalence” or TRUE units. TRUE units cannot be derived from our usual 3S-1t perspective (3 dimensions of space in one moment [the present] in time) because theoretical nomenclature like the conventional ‘half spin’ in fermions does not lead to integral solutions. One cannot have, e.g. half a quantum unit, or half an atom. Mathematically, measurements of all fundamental particles and the third substance of reality have to involve integers. In order to properly describe a quantized reality, we must apply the mathematics of Diophantine equations. Diophantine equations require whole number solutions —integers. In current theoretical physics, Planck’s quantum of action is the smallest integral measure and is substantial in terms of both mass/energy and angular momentum. But that approach results in fractional results not found in nature. Analysis of these data in the framework of the mathematics and geometry of TDVP in 3S-1t provides us with a way to find the true quantum unit of measurement. The empirically measured and statistically determined inertial masses of the three most basic elementary entities believed to make up what we perceive in 3S-1t as matter, i.e. electrons, up-quarks and down-quarks, are approximately 0.51, 2.0 and 4.8 MeV/c2, respectively. The values for up and down quarks are derived statistically from millions of terabytes of data obtained from high-energy particle collisions engineered in specially built colliders. We demonstrate integers as gimmel allocations for specific particles. This is based on empirical conveyance equation solutions for electrons, and the different quarks making up protons and neutrons. We cannot have a quarter of any particle in nature. Quarks, protons, neutrons, electrons and atoms all must be integers, not fractions: Empirical quantization is applied using mathematical integers and formulae. This requires recognition of multiple dimensions, not artificial concepts such as “half-spin” when applying 3S-1t. We propose that mass-energy and what we assume this gimmel to be, namely, some aspect of ‘consciousness’ are unitary major components for the stability of atoms , elements, molecules, and, indeed, all of our stable world and our cosmos. Gimmel is necessarily linked together to form a whole. In fact, it is part of that whole: We argue that we cannot have mass without energy because they are interconvertible, so much so that in our TRUE scoring they are together scored as a single measure. But we cannot have mass-energy without gimmel. Using this concept, nothing can exist without this third component: Like a hand without a shoulder, they are more than linked; they’re entirely tethered together. Without gimmel, mathematically, the elements of the Periodic Table, including those that are crucial to life, are unstable. The requirement of a third form (gimmel) allows for stability. We apply the minimal equivalence units are defined by applying basic relativity and quantum principles to multi-dimensional spinning elementary particles. We call these Triadic Rotational Units of Equivalence, or TRUE units. 1. The elements known to be vital for organic life, like oxygen, carbon, nitrogen, sulfur, calcium and magnesium, should have higher proportions of gimmel, the quantum-organizing factor. 2. Gimmel and TRUE units applied sub-atomically, should reveal mathematical patterns reflecting the fundamental nature of reality, with specific predictable mathematical patterns. 3. Water should contain higher amounts of gimmel to TRUE than almost any other stable, symmetrical molecule. It should, for example, contain more gimmel proportions than hydrogen sulfide. 4. The noble, inert gases that are very common in the cosmos, namely Helium and Neon, should exhibit high amounts of gimmel to TRUE. 5. Stability, symmetry and reactivity of elements and compounds are based not only on gimmel proportions, and on the equality or not of protons, electrons and neutrons, but also on their quantum shells, numbers of electrons in the outer shells making up a model for valence that is predictable. 6. The patterns of gimmel should be from the quantum level, all the way through to the cosmological 12. It should include DNA and RNA 1. This hypothesis is important, but detailed empirical analyses are extraordinarily complex and painstaking. Hypotheses 1 to 5 above were examined, and the postulated data supported. The usual measures are mass-energy in units of MeV/c2 converted to units of Mass/Volume (Normalized Average) where electrons become =1, up quarks = 4 and down quarks =9. Protons have 2 up quarks u1, u2 and 1 down quark d1. Neutrons have 1 up quark and 2 down quarks. Ultimately these gimmel amounts are combined with Mass/energy equivalents to obtain the total in TRUE units (triadic rotational equivalence units) and volumetrically, we’ve called the consequent cube MREV (minimal rotational equivalent volumes). We now combine these elementary particles into their contents , protons and neutrons as well as those same electrons. This time we also mention charge and also minimal rotational equivalent volumes. This (108)3 turns out to be very important because all the fundamental life providing elements, are multiples of (108)3. We have also shown that the inert noble gases helium and neon show the same stable properties as the life supporting elements, however, their valence makes them non-reactive and thus they are not involved in biological processes supporting organic life. Additionally, we found that silicon has the properties of these elements of life because it too shows is a multiple of 108 cubed with equal P, N and E. This is discussed as a further testable hypothesis. Moreover, certain atomic radicals and molecules are demonstrated to fill the gaps in missing multiples of (108)3 . We also look briefly at how some of these relate to life. · Protostable or existent permostable (for chemicals that exist naturally such as trace elements like copper and zinc, as well as relatively rare elements like beryllium and medically relevant ones like lithium). · Artificially unstable (such as those produced in atomic colliders). 1. Traditionally, we have applied Newtonian-Leibnizian infinitesimal calculus as a convenience in mathematics. But this approximation of infinitesimals is incorrect in quantized reality. Given the Planckian quantum units, which are integral, it is integers that are critical in measuring finite reality as everything is quantized. 2. This is why we converted mass-energy to unitary equivalents. This is why we apply Diophantine equations, with three terms on the left side because three symmetric cubes can combine symmetrically and may be very stable if the cube root of the result on the right is an integer. This specifically involves using the Conveyance Equation in a 9-dimensional Diophantine model. Nine dimensions are specifically indicated by dimensional extrapolation, pure number theory and, importantly, a new Calculus, the Calculus of Dimensional Distinctions (CoDD). The CoDD defines all mathematical operations in terms of distinctions that are integral, to accommodate the finite components of quantized reality. 3. Atomic materialism is refuted because protons plus neutrons plus electrons alone, or quarks plus electrons alone cannot form the stable integral combinations that we call atoms and molecules. There has to be a third substance. 1 Without extra TRUE units of “gimmel”, volumetrically atoms cannot exist as stable combinations of integer multiples of TRUE units. 4. Pertinently, valence incorporates both the number of open spaces and electrons in the outer shell of an atom, and the figure applied depends on which is the smaller. These number of spaces available and electrons in outer shell give indications of reactivity and will affect the abundance or lack thereof of elements and their reactivity properties. 5. It appears that one can apply mathematical Diophantine Conveyance equation calculations to establish the properties of a chemical and the less the ratio of gimmel to TRUE, the less the reactivity, symmetry and stability. 6. The concept of integral equivalents is unique and linked with expanding our experiential 3S-1t to an existing finite 9D spin reality. 8. With the re-analysis of shells and electrons, and particularly the outer shells, new concepts of Valence are applied. 9. When these Valence concepts are added to Gimmel and TRUE calculations, the Periodic Classification of the Elements can be understood possibly better than before. 1. Geometrically, the shells in atoms reflect volume and correspond to energy levels. 2. These concepts are not limited to just elements and apply at every level to compound entities. 3. Molecules are not just the sum of atoms. The combined equivalence of atoms in molecules can be calculated based on gimmel, mass-energy equivalences and TRUE. For example, using just the presence of the atoms and taking into account the covalent bonding of water and hydrogen sulfide, they could superficially have the same activity and similar applications. But empirically we know this not to be so. This is demonstrated by the more appropriate calculation of Hydrogen-hydroxide (H-OH) (=water) compared with H-H=S (H2S) (=hydrogen sulfide): H2S calculates out at a lower gimmel /TRUE ratio and is not a cube root, indicating that it is asymmetric. 4. We postulate that gimmel is strongly linked with meaning: A meaningful consciousness that is tethered with the mass/ energy in the 9-dimensional domain. Consciousness is a strong gimmel candidate because there appears none other. 1. The whole is more than sum of the parts because gimmel contributes to stability, yet cannot be directly observed or measured. 2. This new way of analyzing particles suggests that all compound structures, however complex, and whatever their size, are quantum systems. Historically, John Von Neumann demonstrated in his seminal 1932 work “Mathematical Foundations of Quantum Mechanics” including with his Dirac–von Neumann axioms that there is a rigid mathematical framework for quantum mechanics and that this can extend to the macro-world 33. 4. There is “something rather than nothing”: Missing from the current Standard Reductionist Physical paradigms is this third substance/ process (gimmel). Consciousness appears to be the common aspect, and we regard “gimmel” as predominantly reflecting meaningful consciousness even at that subatomic level. 5. Einstein’s speed of light, c, might involve a different constant in each dimensional domain beyond the three of space in the present moment in . This because, c involves a reciprocal relative to squared. We are dealing with 9 proved finite spinning dimensions: We do not know the exact allocation of these dimensions, but have postulated there may be multidimensional and consciousness. 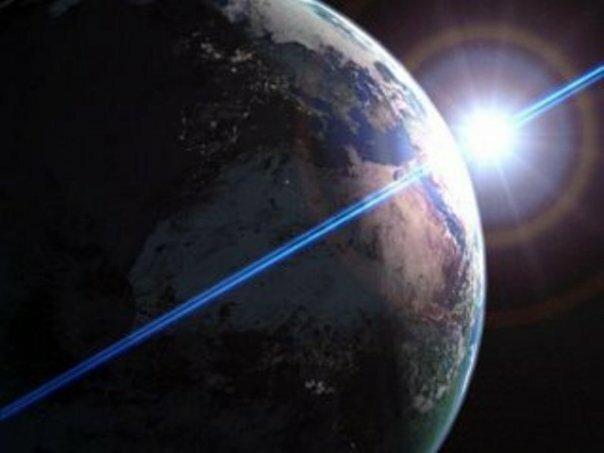 · If there were more than one dimension of , the speed of light would be relative to those dimensions. · Importantly, space- related constants, like the speed of light, as well as the extent and content of consciousness, might involve different relative concepts depending on the frameworks of the specific dimensions (“dimensional domains”) involved. Vernon M. Neppe MD, PhD, Fellow Royal Society (SAf) **, DSPE, Pacific Neuropsychiatric Institute, Seattle; and Exceptional Creative Achievement Organization (Distinguished Fellow *, Distinguished Professor **) and Edward R. Close PhD, PE *. For perspective, Prof. Neppe is a Behavioral Neurologist, Neuropsychiatrist, Neuroscientist, Psychopharmacologist, Forensic specialist, Psychiatrist, Phenomenologist, Neuroscientist, Epileptologist, Consciousness Researcher, Philosopher, Creativity expert, and Dimensional Biopsychophysicist. His CV includes 10+ books, 2 plays, 650+ publications, 1000+ invited lectures and media interactions worldwide (http://www.vernonneppe.org/about.php), Dr. Close is physicist, mathematician, cosmologist, environmental engineer and Dimensional Biopsychophysicist. Transcendental Physics is one of Dr. Close's 8+ books. (www.erclosetphysics.com). The material in this article has been peer-reviewed. © Exceptional Creative Achievement Organization. Our grateful thanks to Brainvoyage.com for permission to reproduce. We gratefully acknowledge the editorial assistance of Jacqueline Slade. The spin is through 8 dimensions because the first dimension involves zero spin. There are 9 demonstrable finite dimensions. We’re limited in English terminology: We could refer to the life sustaining elements as “stable” but that is relative only to the ephemeral unstable elements or isotopes of Hadron Collider particles. Clearly, these elements can be demonstrated by applying 3S-1t (our usual experience of 3 spatial dimensions at the present moment in time) measures, but we postulate it’s only because of gimmel, as well. Perhaps we should call all including TRUE units “super-stable” also called “superstable”. we postulate (and mathematically have provisionally calculated) may have links with the infinite and contain entirely ‘consciousness content’ (Cc) expressed as specific meaning. The Tables are numbered consecutively by Part. This is Part 1 so Table 1A, 1B etc. Neptrons refer to the composite term for the main components of the atom, namely neutrons, electrons and protons together. We developed this term in 2015 1 because there appears to be no composite term for the components of the atom.